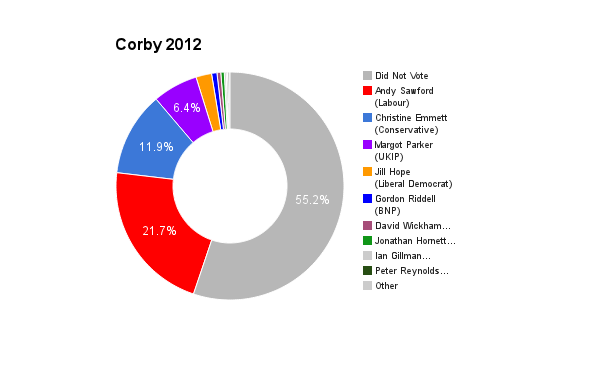 Corby is located in Northamptonshire towards the centre of England. The seat was created in 1983 and was a bellwether until the by-election in 2012. The current member of parliament is the Labour Party’s Andy Sawford who has served since the by-election in 2012.